Working on that campagin, Hogenkamp realized that the ability to fundraise, primarily from big-money donors, was the most important factor in predicting a candidate's electoral success, and this puts candidacy out of the reach of many working class candidates who don't have connections to the donor class. Worse, this fact means that Democratic party institutions reject and discourage would-be candidates from the working class because of their inability to fundraise, preferring to give financial and logistical support to the candidates who need it least. 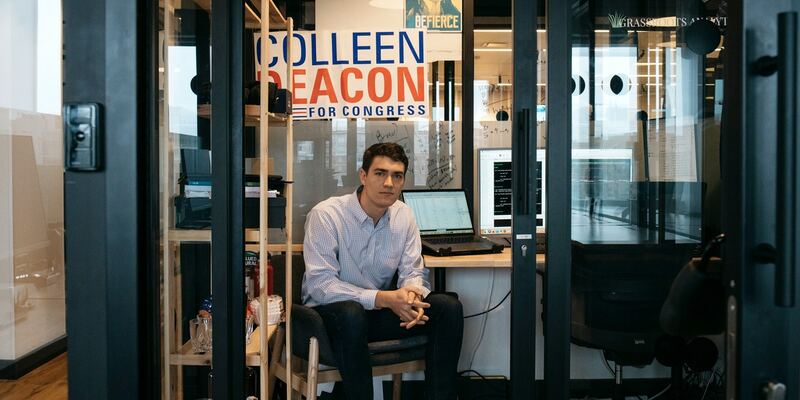 The Deacon campaign relied on a labor-intensive, time-honored fundraising tactic: interns combed through the donor records of similar candidates elsewhere in the country and then googled their contact details to create lists of fundraising leads. Hogencamp made contact with another Democratic campaign worker, David Chase, who'd used his very modest programming ability to build a crawler that went through the records at Open Secrets and ranked donors by how much they'd given, and how often. Using skills he'd picked up interning at the CFPB in college, Hogencamp used zero-inflated negative binomial regressions to analyze Chase's data to produce "lists of individuals most likely to support a candidate given shared characteristics and shared views — ranging from race and ethnicity to a passion for yoga or universal health care." That's what Grassroots Analytics has done, and though it's received a cold shoulder from both the Democratic establishment and the Sanders-affiliated Our Revolution group, many insurgent, working-class candidates credit Grassroots with helping them to overcome the structural hurdles and raise the funds they needed to mount credible primary challenges and campaigns. Grassroots Analytics lives in a legal greyzone; they don't use FEC data (which is illegal), but they draw on sources whose data often ultimately originates with the FEC, albeit after being analyzed and republished by many intermediate organizations, and Grassroots says it take steps to ensure that it doesn't touch FEC data itself. While virtually every campaign works with data from the same sources as Grassroots, they do so inefficiently, by hand, with armies of volunteers and interns, while Grassroots uses technology to automate that work. Ultimately, Grassroots Analytics represents a very modest application of technology to a highly automatable task, and it raises the question: why isn't the Democratic establishment doing this already? Writing in The Intercept, Rachel M Cohen attributes the heel-dragging to the cozy nature of election-tech, where the campaigns source from buddies who left other campaigns to start low-tech, crude tools that Grassroots has handily leapfrogged.